The Nigeria Customs Service, NCS, has terminated the appointment of about 48 senior officers in the service in its ongoing reorganization. A circular dated January 19, 2017 and signed by Ag. Comptroller in charge of Discipline, Ganiyu I.A was addressed to all Zones, all Customs Area Command and units. According to the circular, about 45 officers were dismissed, 11 retired while the appointment of three we're outrightly terminated. The 45 dismissed officers and the three that were terminated were asked to go for professional misconduct. It said that the service was currently undergoing reorganisation to reposition it. 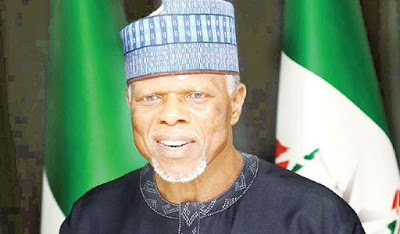 Those affected are three Deputy Comptroller of Customs (DC), four Assistant Comptroller of Customs (AC), eight Chief Superintendent of Customs (CSC), three Superintendent of Customs (SPC) one Deputy Superintendent of Customs (DSC) and one Assistant Superintendent of Customs (ASC). The statement with reference number NCS/ADM/DISC/Vol. 1. The statement title Notification of disengagement to under listed officers from service reads: “I am directed to request you to disengage the under listed officers, if still found in your zone, Area Command/ unit from any customs activities because they are no longer in active service". Tin-Can Island Command has the highest number of disengaged officers, followed by the Command and Staff College. “Eleven other officers were retired from Service, while the appointment of three were terminated" it said.